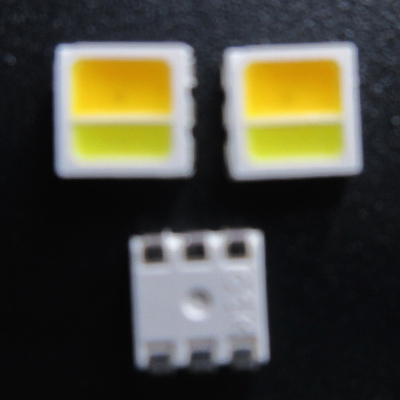 These SMD LEDs are packaged in the industry standard CLPP6 package. These high-reliability and high-brightness LEDs are designed to work in a wide range of environmental conditions and are ideally suited for use in illumination applications. Their wide viewing angle makes these LEDs ideally suited for channel letter, or general backlighting and illumination applications. The flat top emitting surface makes it easy for these LEDs to mate with light pipes. All components are produced by packing high-performance LED chips and silicon resin with proprietary phosphors.